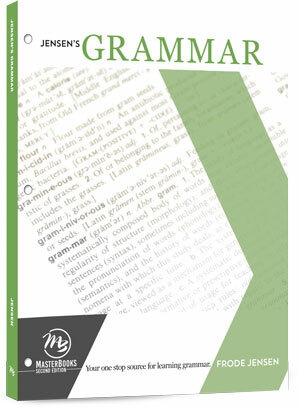 Strengthen your student's writing skills with Jensen's comprehensive Grammar course. Students will learn how to properly use nouns, verbs, pronouns, prepositions, verbs, adjectives, adverbs, infinitives, and more. 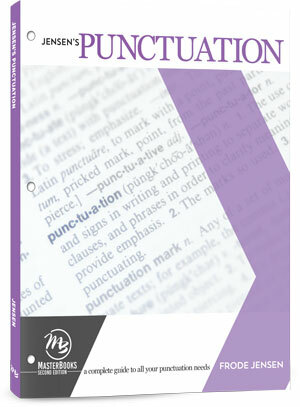 Equip your student to write clearly and confidently with Jensen's Punctuation. Students will study all aspects of punctuation from commas to question marks and parentheses to hyphens. 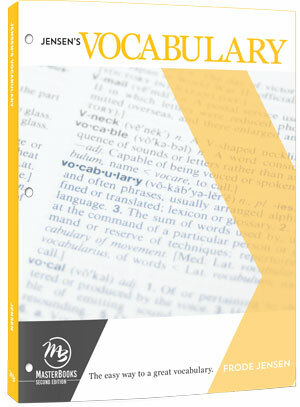 Develop an extensive vocabulary as your student learns over 1,000 valuable words from Latin and Greek roots. Students will learn how prefixes, suffixes, and root words fit together to communicate thoughts, concepts, and ideas as they also discover how to decode the meaning of new words. Prepare your high school student for college-level writing with this well-respected, popular expository writing course. Through simple lessons and systematic practice students will learn how to construct paragraphs, business letters, resumes, essays, and write major papers of 1,000-1,200 words. 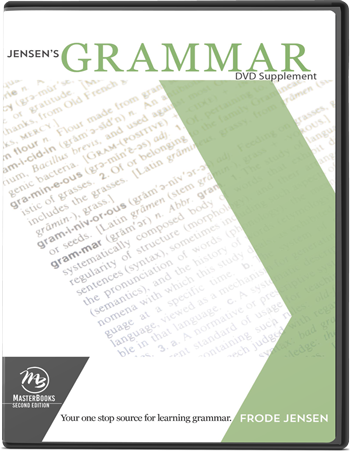 Guide your student through Jensen's Grammar with the author's instructional DVD. Explanations and examples are given as lessons within in the course are expanded and discussed, enhancing your student's understanding of concepts. 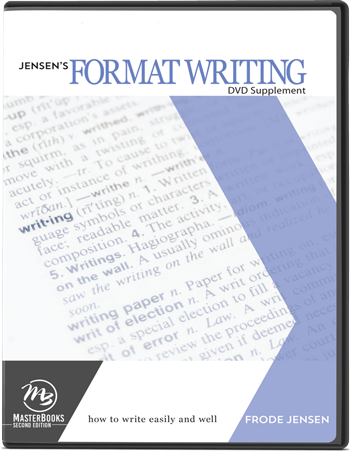 Guide your student through Format Writing with the author's instructional DVD. Explanations and examples are given as lessons within in the course are expanded and discussed, enhancing your student's understanding of concepts.